Despite acquiring the necessary qualifications to practice law in Grenada, the past transgression of Joseph Ewart Layne, one of the Grenada 17, has come back to haunt him after his appeal for admittance to the Grenada Bar was dismissed by the London-based Privy Council. Layne, a former member of a “rogue fraction” of the Grenada Revolutionary Government (PRG) which ruled Grenada from 1979 to 1983, has been rehabilitated for his involvement in the murder of former Prime Minister Maurice Bishop and other members of his cabinet. Layne who was only 25 at the time of the crime, was one of those who (while away from the scene) was found to have given the orders to “liquidate” the Prime Minister and others. 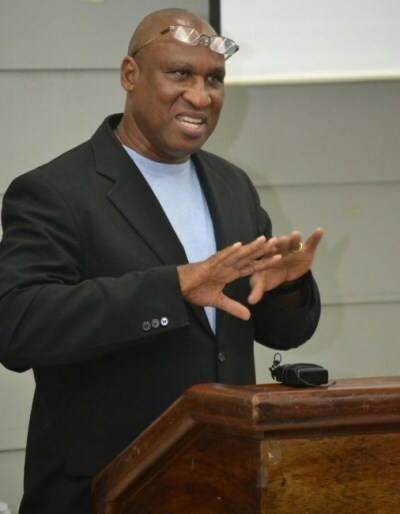 He studied Law during his 26-year incarceration at Richmond Hill but has found himself unable to practice despite having a Master of Law degree with honours from the Hugh Wooding School in Trinidad, obtained after his release from prison in 2009. His legal battle started when his application to the Supreme Court for admittance to the Grenada Bar in October 2013 was rejected. He then appealed to the Organisation of Eastern Caribbean States Court of Appeal which declined to interfere with the judgment on the basis that the court had exercised a discretion without error. The matter was taken further to the judicial committee of the Privy Council asking Grenada’s final court of appeal whether the Court of Appeal made a mistake in holding that a High Court judge did not wrongly exercise her discretion under section 17(1)(a) of the Legal Profession Act 2011 in refusing to admit him to practice as an attorney at law on account of his conviction for murder. This attempt was again met with rejection. The matter was heard on 24 October 2018 before 5 law lords, however, the judgment, a majority vote 4-1 to dismiss his appeal, was handed down on Monday, 18 March. Layne’s legal team is expected to examine the judgment handed down before determining the way forward. Big Conflict of interest, how can you be a part of the cause of the worst day in our Nation’s History and still want to practice law within the same Country, great judgement by the Privy Council, God is Good.